So this is our first blog post in 2013, shame on us! But it's a good 'un. bridalNEXT! 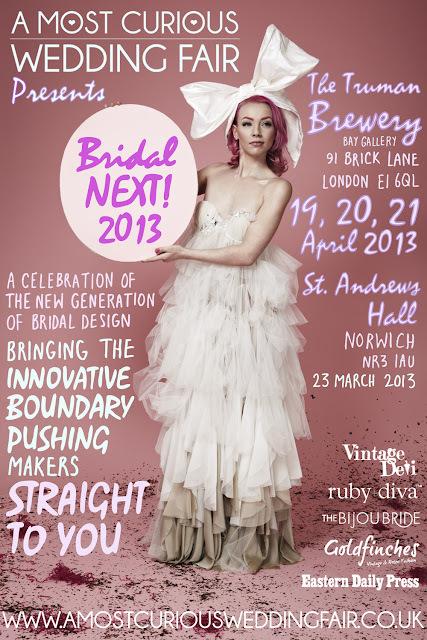 is back and we are very excited that the Norwich contestants will also be showcased as part of Norwich Fashion Week at the Designers Show at Epic Studios on the 12 March as well as at A Most Curious Wedding Fair (of course!) on 23 March. So we have the lovely fashion editor Emma Harrowing at the Eastern Daily Press returning as a judge this year as well as the ravishing Julia Rigg of Goldfinches Vintage and a brand new addition in Katy Coe of Vogue Famous Vintage Deli - but more about each of them soon! 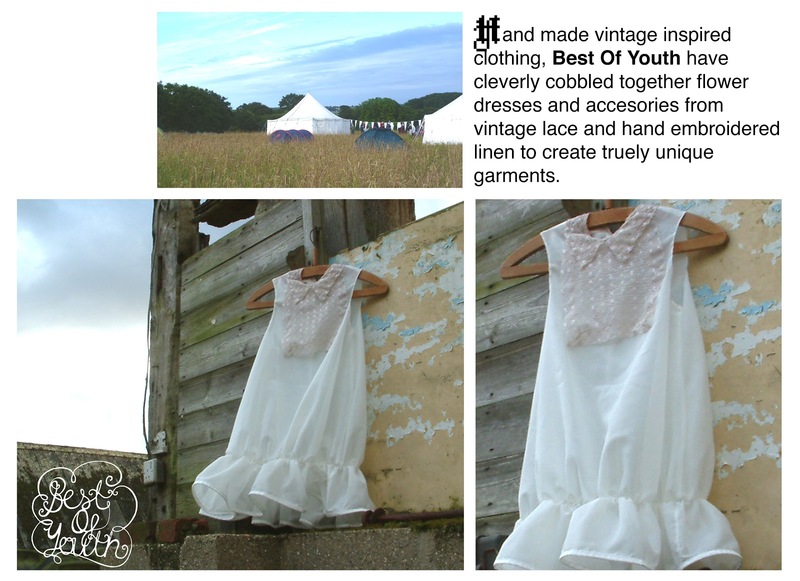 Vintage Deli will also be providing the winning designers the wonderful price of being stocked in their beautiful new boutique on the North Norfolk Coast and on the online store. So this year we have some absolute beauties who made the grade to be finalists. We split the categories for 2013 into The Dress and The Accessories to make it a little fairer to judge and we are over the moon with the final 5. Are you ready to meet them? A new design duo who do both have tailoring backgrounds but are making joint new ventures into bridal which started in 2012. Barclay is a maker with training in woven textile design (achieving a first class honours degree from Central St. Martins, London) and is influenced by Dickens, Westwood and McQueen! (bottom image) Day has recently completed a Fashion and Textiles degree at Colchester institute and like Barclay loves historical tailoring but also channels traditional japanese and native American aesthetics. (top image) Together they are really pushing ideas of theatrical, elegant and fanciful bridal and occassion wear. Hand-made bridesmaid dresses and accessories, hand-made by Katie Bishop in her farm studio in North Essex. Bishop uses traditional and vintage fabrics; embroidered linen, silk and lace. They are hand-dyed using plants. Each piece is unique; real one-off garments to be kept and cherished. 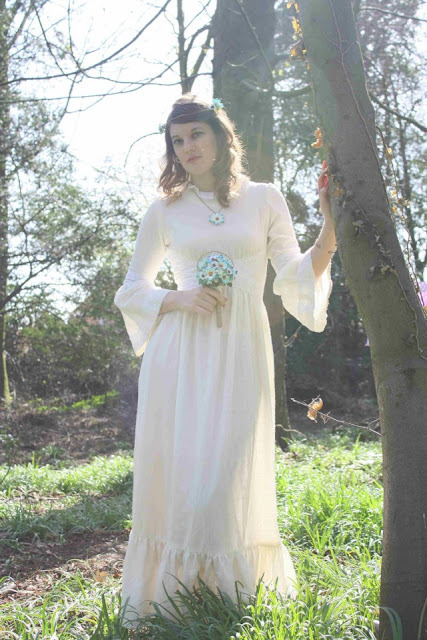 We love the simplicity and feel the look is so en trend for vintage loving brides who want their bridesmaids to have a relaxed, english country look with a little bit of a fashion edge. Started in late late 2013, Norwich-based Annelli Clarke is fast making waves in her home country and beyond! After finishing runner-up last year in Grazia magazine’s ’Hat Factor’ competition judged by Stephen Jones and Philip Treacy, she has been doing an internship with Piers Atkinson in London, where she represented the brand at 'Headonsim’ for London Fashion Week. She adores the forms and styles from the 1920s to 1970s, her work is increasingly leans towards more avant guard materials such as perspex, wire and leather. She is also expanding my use of natural feathers. 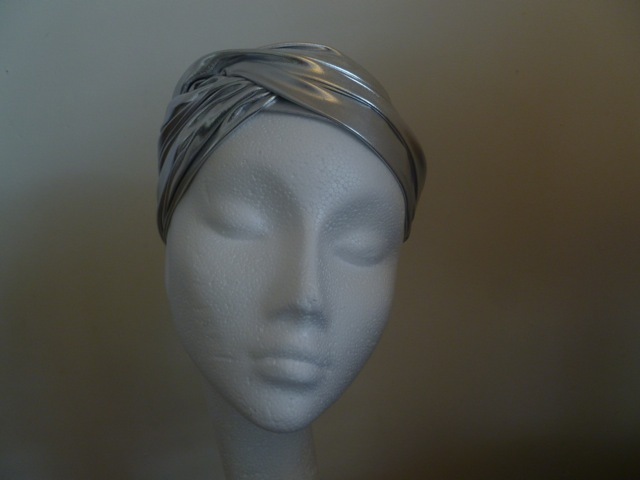 Very en trend for 2013! Founded in 2012 by Hannah Melnyk, Bohemian Love Story is for the free spirited bride who wants to be inspired by nature but in a big impact, theatrical way, which we LOVE! Melnyk mixes natural elements such as berries, shells, seeds and flowers with vintage adornments and silk butterflies and pearls and crytstals, in fact the only limitation is your imagination with Bohemian Love Story! She works from her studio in Norwich to create accessories, bouquets, button holes and other bespoke commissions.